This absolutely beautiful waterfront Rapid River lot has been cleared and ready for your new dream home or weekend campsite. Trail has been installed down to the rivers edge with a dock and bench on the river and shed stays with the sale. 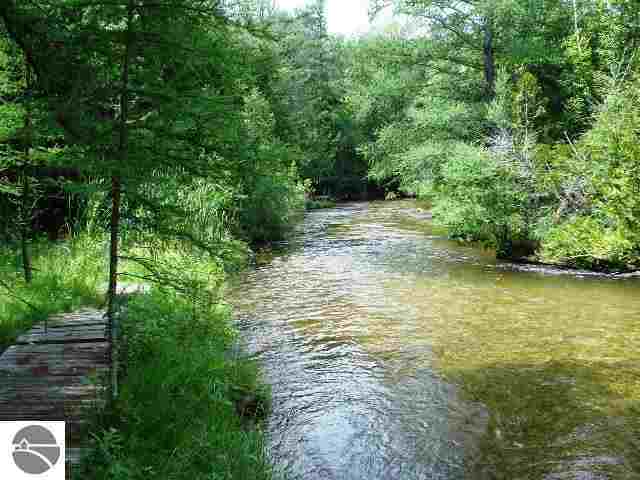 This river is one of the most beautiful rivers in Northern Michigan and flows into Torch River just south of Torch Lake. Torch Lake and boat ramps are less than a mile away. Perfect spot to spend your time 'Up North'!